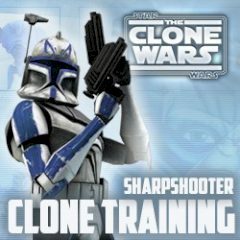 Have you ever thought about why almost all Star Wars characters are so bad in shooting with the blaster? The answer is quite simple! They don't spend much time at trainings! Practice your skills at the shooting range and get maximum points! The good shooting skills is always a plus and if you get surrounded by clones you will have the idea of what to do. However, it requires some dedication and practice at the shooting range, but fortunately, we have one. Step in it and take a blaster. Shoot at dummies and hit them either in the chest or the head to get maximum points. Recharge your weapon and continue till the time ends. How many points you can get?